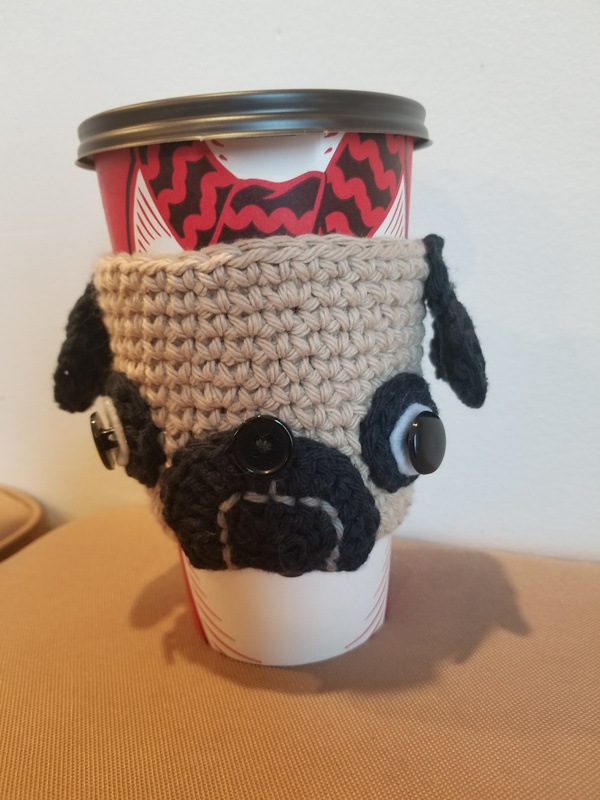 This is a one of kind handmade coffee cozy. Each on is unique. 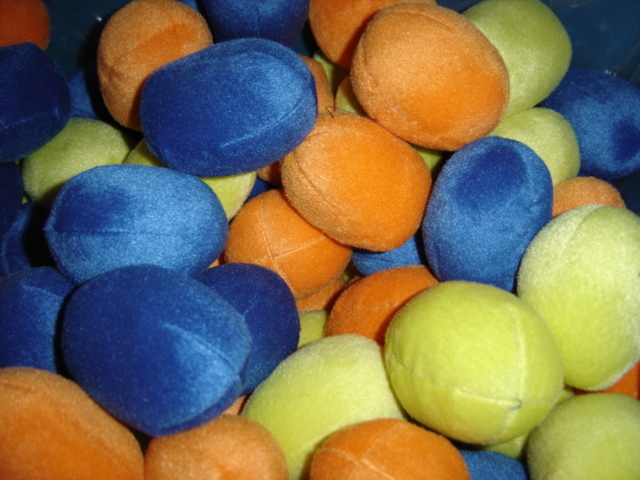 Made with 100% cotton yarn, completely washable. Do not put in the dryer. After washing place wet cozy onto a cup to maintain it's size and shape. 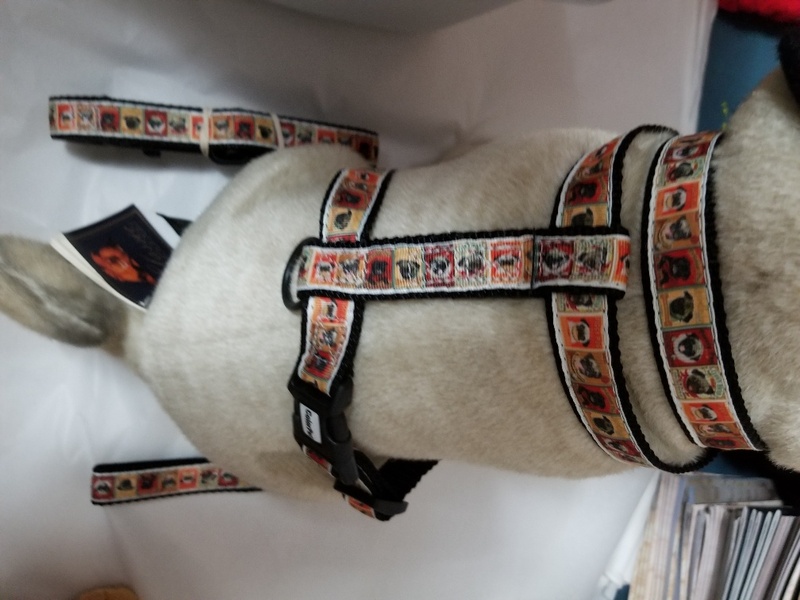 This is a must have for the pug lover on your list.